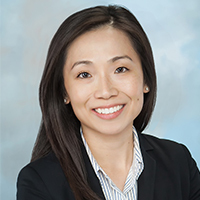 Wong Fleming is proud to announce that Linda M. Lee has joined the firm as an Associate in its Princeton, New Jersey office. Ms. Lee earned a Bachelor of Arts degree from Ramapo College in 2009 and her Juris Doctorate from Rutgers School of Law in 2015. She is admitted to practice law in New Jersey and New York. Ms. Lee concentrates her practice in Commercial Litigation and Trial, Insurance Defense and Coverage. Prior to joining Wong Fleming, Ms. Lee worked for firms that represented clients in transportation, railroad, construction, assisted living, and insurance industries. Wong Fleming is a nationally recognized, AV-Rated law firm that represents Fortune 500 companies and other corporate clients in the areas of Commercial Litigation, Employment Law, Real Estate, Intellectual Property, Corporate Asset Recovery, and Creditors’ Rights and Bankruptcy. The firm maintains offices in New Jersey, Pennsylvania, New York, Maryland, Washington, D.C., Georgia, Washington, California, Florida, Tennessee, Texas, Canada, Mexico and Germany.